During our recent visit to Rajasthan, we had the opportunity to experience the Jeep safari in Jodhpur at Rajasthan. Early morning, we left the Blue city and after 40 minutes we were all set for a half-day jeep safari in Jodhpur. And here is how it went! The calm and silent ambience of the unmarked paths of the jungle were ready for our welcome. They were aware of our arrival! I can hear the humming chorus of the birds from the shadow casting trees. The dodged wild flowers dotted across this sandy terrain made a natural trail for us on which we started to traverse the unknown. 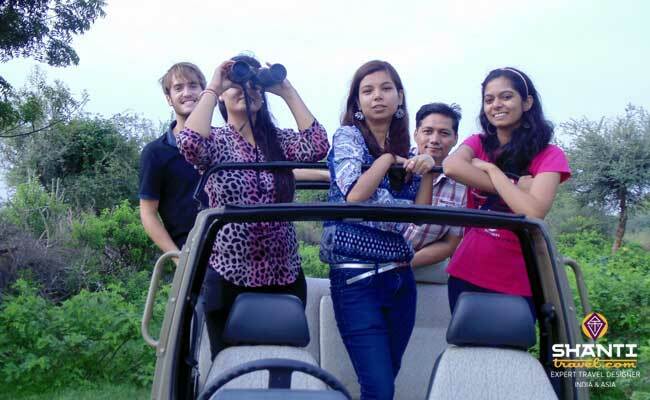 All of a sudden the driver push the breaks and what we see is the herd of Black bucks. A beautiful animal unique to this region. The throttling sound of the engine made them scared but nevertheless I was very amused to see them jumping high and far to get away from the intruding moving machine. On the rest of the way, we also came across Monitor Lizards, Jungle Cats and some other wild animals. After gazing through the wild at the time of the jeep safari near Jodhpur our driver took us to a small village in middle of nowhere. No electricity, no running water but a real rewarding experience. We were welcomed by the village kids undisguised with curiosity and innocence. The common language between us was a SMILE, I felt that they are astonished to see a white guy from Delhi. Their unmatched hospitality is what I still treasure and it bring back the candid memories of the desert. To our surprise, few village men were equally generous and respectful with our guide. Later when I asked him over a cup of refreshing Chai (Tea) he told me that his family were the head for this region before the independence of India. And despite the change in status, his family is always respected and is an integral part of this community. Indeed, without such a relationship with our guide, it is very unlikely to have such an experience. 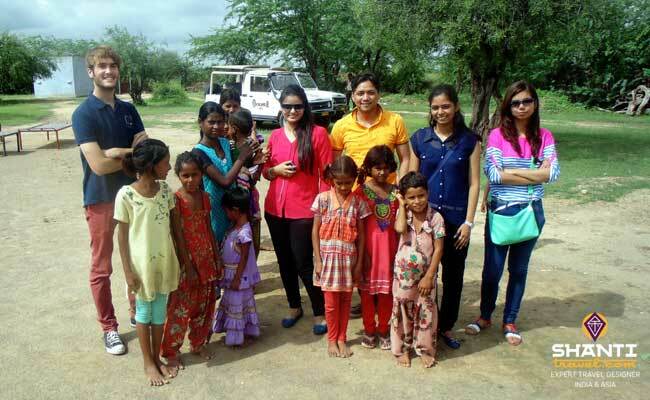 Our next stop during the jeep safari in Jodhpur was at the Bishnoi village. A distinct community that is very different from other communities in Rajasthan. 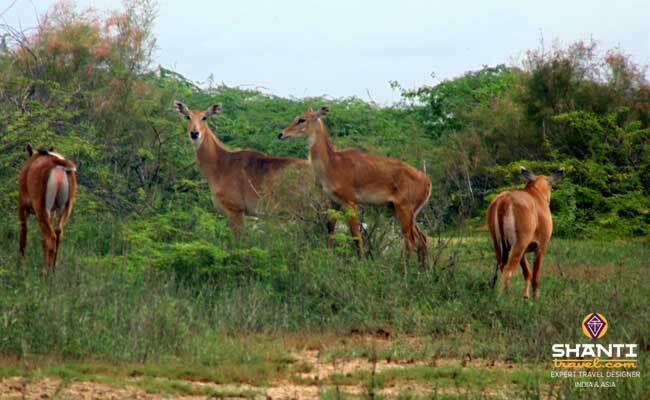 It is because of the people from Bishnoi community that the black bucks are numerous in the region. According to them it is their sacred animal. 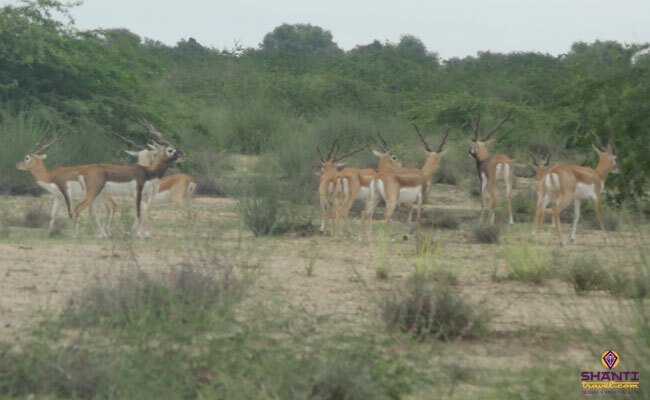 Bishnoi lifestyle is about living with the nature. A very simple but well-insulated house, a lifestyle dictated by the seasons, a totally organic agricultural practices, etc. This is not all the more surprising is that they live in a region with very less rainfall. On our last visit, we reach the home of a family of farmers. Unlike other people we crossed until now, these people are agriculturist by profession. There, we could observe their daily lives, their way of cooking, chapattis made up of millet or production of homemade butter. We had the privilege to eat with the villagers and with our guide in a tent, tasting local delicacies. Some family members that we just came across by now in the village left their daily business choir and were throwing a few curious glances in our direction. Upon departure, the mother insists that we should include her daughter for a group photo. On the way back, I think about my day, what I have seen, and those I met. I must confess that the experience was incredible. 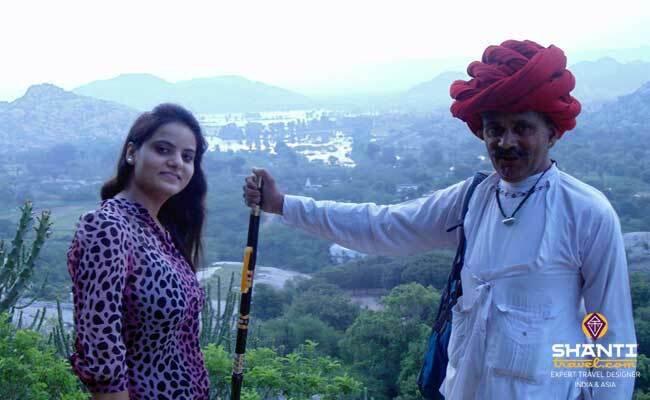 The best part about this trip is that it is unique for each traveler, our guide’s expertise about different paths, trails that are roads and unique lifestyle of the Bishnoi villagers. Thus, everyone can create a lasting memories, which can never be the same as the others. Villagers, meanwhile, retain that innocence and curiosity that make them so incredible!